I’ve always been a cautious person. And it has definitely never been said of me that I live on the edge or that I’m a risk taker. Never! I see impending danger behind every bush. (not a literal bush 😆) People that know me well know I gasp easily when I think the driver in the vehicle I’m in does not see the car in front is putting on the brakes. 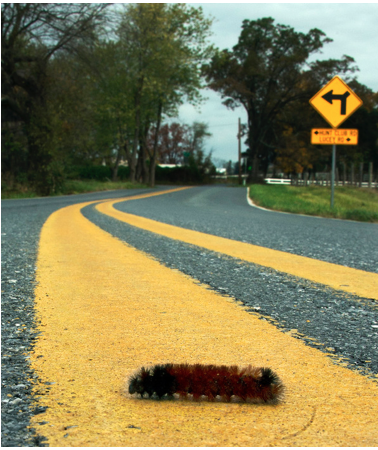 My sister Tina once said I would swerve and hit a tree if I saw a caterpillar crossing the road. (quite an exaggeration😏) When the kids were little I would freak out if they walked too close to the stairs or a ledge. I could see them go down head first. And it did actually happen a time or two. I could not watch them climb a tree. I was terrified they would fall. Some of you might know exactly how I feel. They rest of you think it all so ridiculous. Too me I wasn’t being ridiculous. It was very real. I am terrified of falling down. And not necessarily because it’s humbling to fall down but because of the pain causes. I’ve experienced that a time or two as well, one time really injuring my tailbone. Some people fear losing their freedom, the unknown, pain, disappointment, loneliness, rejection, death, failure. And some people fear dogs, water, spiders, small spaces, heights, thunder and lighting to name a few. I love thunder and lightning but how would I convince someone who fears thunder and lightning not to. Not very possible. How do you convince somebody who’s afraid of dogs that it’s just a fluffy harmless creature and that he won’t bite. He just wants to sniff you and lick you and love you. Good luck!! The fear is real. There are other things I fear and that you might fear that are not as trivial as caterpillars crossing the road. 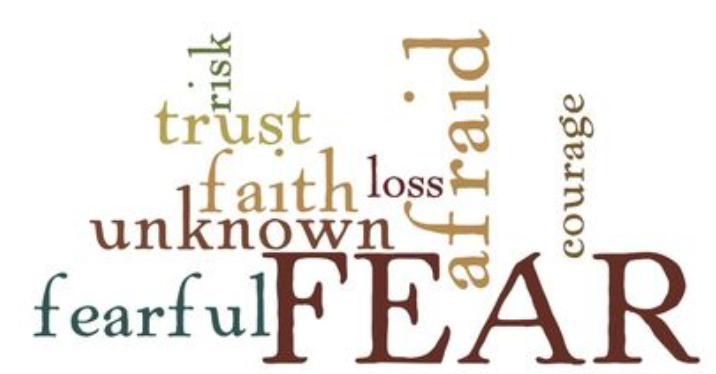 Here are some reasons why we fear. It’s quite possible we could believing a lie when we give way to fear. Satan loves to feed us lies about our lives, about what we believe about God etc. If he can get us to believe that God is not in control, not really good or that He doesn’t care about the details of our lives we will give in to fear. Fear that our circumstances will not get better or will not turn out for good. Many of us fear that we are not “liked” by people. That is likely because Satan has whispered lies about who you are. For example, why would anyone want to be your friend because you always..... or you never..... That’s a very hard way to live. Sometimes we give way to fear when we feel we are losing control of something in our lives. We can go for years and years thinking that we have control of certain situations. Good control of our financial situation. Good control of our anger or other emotions. For me it was my children. I did not think of myself as a controlling parent and I think outwardly there was not a lot of evidence that I was controlling. I started realizing how controlling I was when I started losing control. That’s when my biggest problem with fear started. And this might only be understood by those of you who have or have had young adult children in the home. Some have said when you have teen or adult children in the home you just have to give the reins over to God and He will take care them. But wait a minute! Do we think that when our children are little in the home then we have the reins? I’m afraid subconsciously we sometimes think we do. And that is why we sometimes look at others and hear ourselves say “they should just do this” or “they should just not allow that” or “show them who the mom is”. It’s called control. I’m sorry girls but speaking from one who has said those very words and has wanted to take them back a million times. 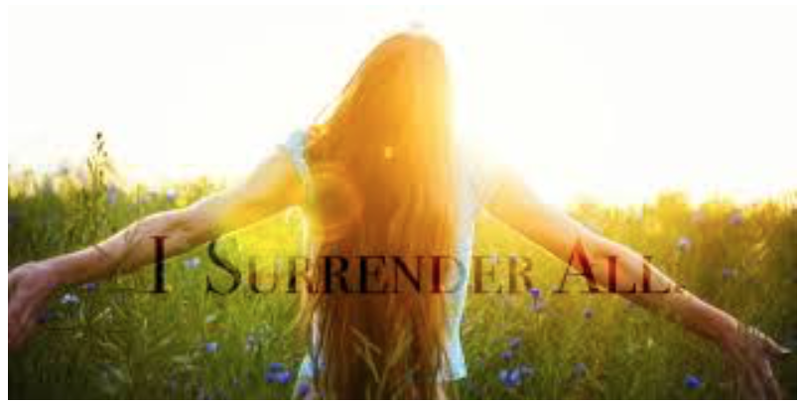 The best way in situations like this to gain victory over fear is “surrender”. The struggle with fear is over when you can surrender and admit that you are not in control. But you have a God who is in control. The sooner the better! Another reason why we give way to fear is because we are shortsighted. Sometimes we can’t look at our situation further than the hand in front of us. We become so earthly minded that we can only think about is the here and now. Like I said earlier, we hear the news and 99% is bad news and we give way to fear. I heard somebody recently say that they already know the last chapter. We know that in the end God wins. In fact God already won. The victory was won at the cross. So if we look a little further than the hand in front of us we will see God‘s grace there. If we become more spiritually minded we will experience more of God’s grace for anything we face in life. So we don’t have to give way to fear. There are some simple and practical ways to chase our fears away. One of them would be to offer praise and thanksgiving. I used to, and still now at times, give way to fear in the middle of the night when I awake. I started a habit of thanking God for everything I could possibly think of and before you know it I would fall into a deep sleep. It works so much better than counting sheep. During the day when my mind is thinking way too fast I put on praise and worship music. It’s really amazing how my fears disappear and how much work I can get done when I do that. Call me crazy but sometimes you might even catch me talking to myself. Sometimes when I talk out loud about things I’m fearing I realize how silly some of them are when I hear them out loud. 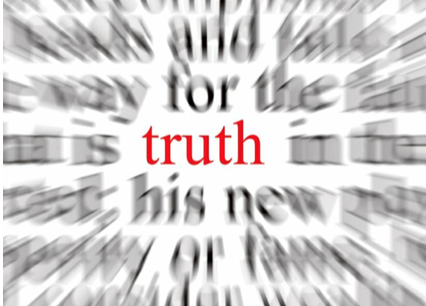 Another way to conquer your fears is to apply truths to your life. 16 Therefore we do not lose heart, but even if our outer person is being destroyed, yet our inner person is being renewed day after day. For our momentary light affliction is producing in us an eternal weight of glory because﻿ we are not looking at what is seen, but what is not seen. For what is seen is temporary, but what is not seen is eternal. The Bible also has hundreds of verses that say “fear not” or something similar. God knew how much we would struggle with fear. We should never have to live fearful and without hope. In Genesis 15:1 God says to Abram “I am your shield” So for all our fears we have a shield. It’s not just any shield but it is God himself. A shield that covers us from head to toe. In closing just one other wonderful reminder from Mark 4:40 when Jesus was in the boat with his disciples and a storm arose and they became fearful and the awoke Jesus and he said to them "Why do you have no faith?" He asked. "Do you still have no faith?" 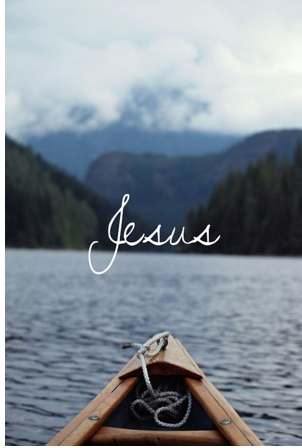 We have nothing to fear because God is in our boat.